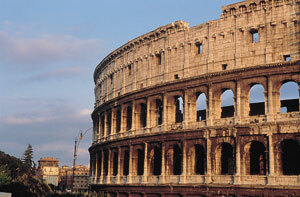 Enjoy the views from the open top double decker bus as you see the major sights of Rome. With commentary in 6 languages, stops at 9 locations throughout the city, departures every 20 minutes and the choice of a 24 or 48 hour ticket you are free to explore the Eternal City at your own pace. The tour guide has turned pocket-sized! Giorgio my Guide is an MP3 audioguide of Rome which is light to carry and easy to use. You will be guided on an entertaining independent tour of the major attractions of Rome including churches, museums and ancient sites. Just turn it on and explore the city. A different way to visit Rome? Try with a SEGWAY! 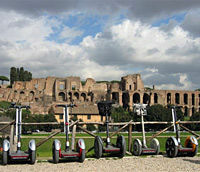 Rome Segway Tour: far easier than walking, and more unique and private than a coach tour, getting around Rome on a Segway personal transporter is a once-in-a-lifetime experience.